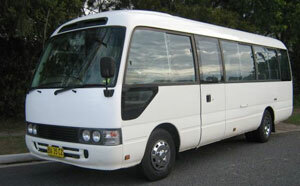 The very design of a coaster minibus makes it ideal for use as a taxi. This can be as a regular taxi service which is on the road every day, or a semi-private service which is used for special occasions. Taxis need special insurance because not only does the driver and the coaster minibus itself need to be covered but also the passengers. Because of the number of people needing coverage, coaster taxi insurance can be a bit on the expensive side but it’s the law in most places. A growing number of charitable institutions are becoming largely dependent on the versatility and flexibility of minibuses. These organizations often carry a large number of people from one place to another. This may not be conveniently possible when they have to visit areas where there are no public transport facilities available for their use and, thus, the need for a coaster minibus. The charity insurance policy has been specially designed to help these groups. However, insurance companies will only provide such policies if they are sure that the coaster minibus is being used solely for charity purposes. While a coaster minibus tends to be a larger vehicle, they are still being used by some families during vacations, road trips, camping and tours. It can even sometimes become a type of a small school bus when the family is large and has more kids. The family insurance policy is crafted for just such purposes but only provides coverage when the minibus is used for domestic or social purposes. This policy includes not just the basic insurance coverage for ordinary vehicles, but also, for passengers and cargo. This is the type of insurance one would opt for if their coaster minibus isn’t restricted to just one task. It’s becoming more popular these days considering that more and more commercial establishments are switching to vehicles with larger carrying capacities. This is the type of insurance aimed at persons and organizations that own more than one coaster minibus. It is economical for these entities to obtain this type of insurance because it provides coverage for all of their minibuses under a single policy. It also minimizes paperwork and saves on time which would have been used to get each vehicle registered under separate policies. Whatever one’s reasons are for getting a coaster minibus, and the corresponding risks it is exposed to, there is always a type of coaster minibus insurance policy that can provide the best coverage.